Preliminary Site Investigations at Queensberry St, North Melbourne, Vic. 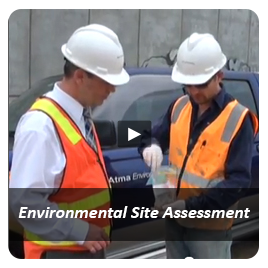 As a preliminary stage to the above investigations, Atma Environmental completed environmental site inspections and basic historical reviews to advise on the need for further site investigations. 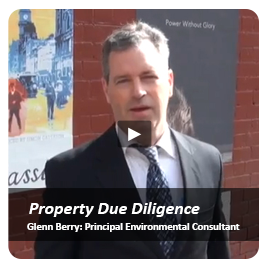 Environmental Site Assessments at Queensberry St, North Melbourne, Vic. 'Stage 1-2' limited environmental site assessments were conducted on four Dept of Education sites slated for divestment. Sites included: former textile college (possible PCE contamination), printing campus (UST, lead, PAHs), primary school (uncontaminated), and surplus land (uncontaminated). A soil sampling program to determine the need for any remedial actions and assessment of the likelihood of groundwater contamination. Removal of UST known to be a point source of contamination. Qualitative Risk Assessment and Remedial Considerations at Queensberry St, North Melbourne, Vic. A qualititative human health and ecological risk assessment for a residential use context was completed for this former education site (past uses: printing; PAH contamination). Soil sampling was undertaken on the former lawn bowls manufacturing site in question to assist the developer in planning re-development of the site. He should have contacted us before he purchased the site! The subject property has undergone an Environmental Site Assessment (ESA) for the purpose of due diligence for site re-development. Included derelict factory and an existing high density development as part of the land package. To inform the client on the potential environmental liabilities prior to purchase a limited but very fast desktop review was supplemented with a ground penetrating radar survey (GPR). Formerly Buncle Engineering site - high contamination potential. A desktop Preliminary Environmental Assessment (PEA) of a site, historically used for tin smithing, was prepared to determine any past potentially contaminating land uses and to inform the planning permit application for a new high-rise residential development. A pre-existing soil 'repository' of 3,800 m3 Category A Prescribed Industrial Wastes was sampled and assessed for soil hazard categorisation. Atma Environmental subsequently liaised with EPAV and managed a successful waste reclassification application enabling the soil to be moved as Category C PIW - resulting in multi-million dollar site development cost savings. Lots surrounding the rail station, chiefly along Stubbs St, possess a rich and varied industrial history. Our brief included a review of ten previous ESAs by others, reconnaissance of all lots, re-appraisal of existing historical information to advise on the contamination status of each lot and to identify environmental data gaps in the information provided with recommendations made for further work. Limited Soil Investigation at Shiel St, North Melbourne, Victoria. To inform worker health and safety prior to gardening works, limited soil sampling was conducted at a State Government office to ascertain contamination levels relative to guideline levels. 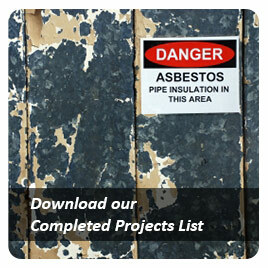 Provision of expert advice to the client regarding the nature and defensibility of a builder's variation in relation to asbestos soil contamination found during development. To clean up an oil contaminated industrial site vacated by it's tenant, Atma Environmental project managed all necessary equipment and contractors to restore the site to a satisfactory condition and dispose of affected soils. A limited investigation of soil conditions within a work site was undertaken to determine contaminant levels to and to provide advice in regards to the appropriate OH&S measures required based on the testing. Residence. 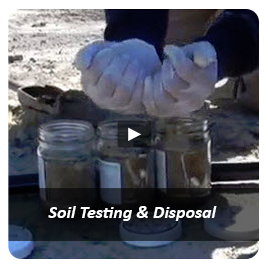 Limited Soil Investigation to assess the contamination status of garden soils conducted. The client engaged Atma Environmental to provide advice on how to move forward with the development of the site with regards to sampling and contaminated soil disposal. Meeting with the client regarding a site in North Melbourne and to provide advice as to what action is required. A written quotation letter was provided. The Department of Human Services engaged Atma Environmental to collect and analyse soil samples from a proposed bulk excavation area to assist in ascertaining the classification status of the soil for off-site disposal. Preliminary site sampling and historical review was undertaken consistent with Dept of Human Service environmental requirements for licensing of a new child care centre. Environmental validation and stockpile assessment re an Underground Storage Tank removed inside a factory being redeveloped. 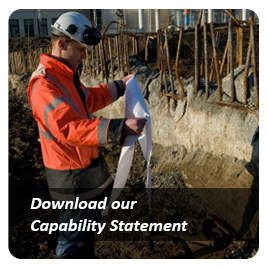 Conduct soil samples analysis for pre-construction planning purposes. Contaminated Site. Previous Environmental Site Assessment undertaken at the site, now proposed for redevelopment, required preparation of E.M.P. and workers EH&S Plans by Atma Environmental. Phase 1 ESA to satisfy council requirements prior to re-development. Involved gathering all publically available historical information to determine the environmental suitability of the site. 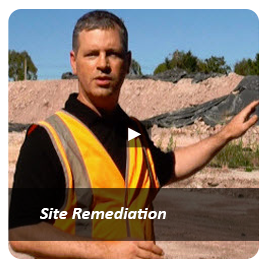 Don't buy land you intend to develop without reading the expert knowledge we share in this report - It could literally save you hundred of thousands of dollars in site clean-up costs that will be required before you can get the development permits. This is the Sidebar 1 Widget Area. You can add content to this area by going to Appearance > Widgets in your WordPress Dashboard and adding new widgets to this area.